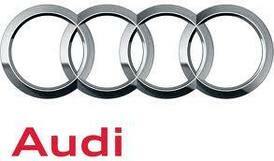 Luxury automaker Audi has achieved two straight years of record U.S. sales, and with its tally up 14 percent year-over-year through the first half of 2013, it is on pace for a three-peat. Just as impressively, its sales ceiling looks even higher in the future, with scheduled arrivals of the 2014 Audi Q5 TDI clean diesel and the 2014 SQ5 later this year, as well as the launches of the all-new 2015 Audi A3 and S3 compact sport sedans early next year. In the meantime, existing models of the Audi Q5 continue to attract buyers, with June sales of the crossover reaching 3,493 units, a 26 percent increase year-over-year. The Q5’s bigger sibling, the Audi Q7, posted an even larger sales increase of 78 percent compared to June 2012, totaling 1,277 units. Audi’s higher-end luxury sedans, the A6, A7 and A8, combined with the premium Q7 to account for 32 percent of the automaker’s sales in the first six months of this year. As a compact model, the 2015 Audi A3 Sedan will be entering the world’s largest vehicle segment, and it has been designed to appeal to younger, tech-savvy buyers. Slated to offer three four-cylinder engine options, including a 2.0-liter TDI clean diesel and the gas-powered 1.8-liter and 2.0-liter TFSI units, the A3 Sedan will provide the fuel efficiency that modern drivers demand along with the responsiveness expected from a luxury sport sedan. For the power junkies, the 2015 Audi S3 Sedan will feature a high-output 2.0-liter TFSI engine that should approach 300 horsepower. Inside, the Audi A3 Sedan will be available with nearly anything young professionals could want to stay connected and entertained on the go. Their favorite tunes will be heard with new clarity through a Bang & Olufsen premium sound system, while the latest MMI Navigation plus interface and Audi connect system will allow them to stream those songs from their smartphones, as well as access Facebook, Twitter and navigation via Google Maps. Those services should also operate more efficiently, as Audi has established 4G LTE connectivity within the A3 Sedan, enabling faster download times. A five-time winner of Audi’s prestigious Magna Society award, Audi of Nashua invites those in search of the world’s finest vehicles to explore its inventory of new and used Audi cars for sale. New Hampshire Audi owners will also find a complete selection of Audi parts and accessories, as well as expert Audi service from factory-trained technicians. Discover the quality, performance and engineering that make every Audi special by checking out their inventory at www.audinashua.com, liking them on Facebook at www.facebook.com/audiofnashua, or calling their dealership, located at 170 Main Dunstable Road in Nashua, N.H., at 888-475-5701.